Can't think of a better dish to post on the season finale of Game of Thrones!! 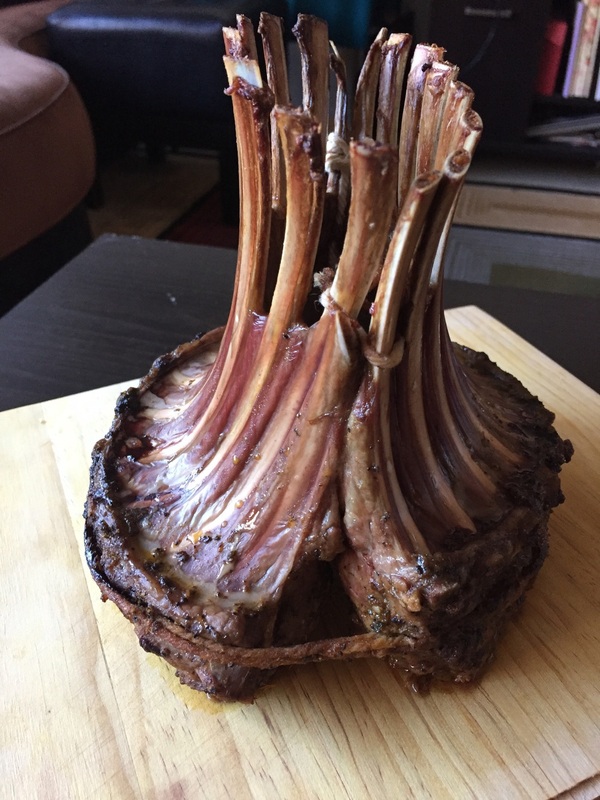 A delicious lamb dinner honoring the head of the thrown, the crown! 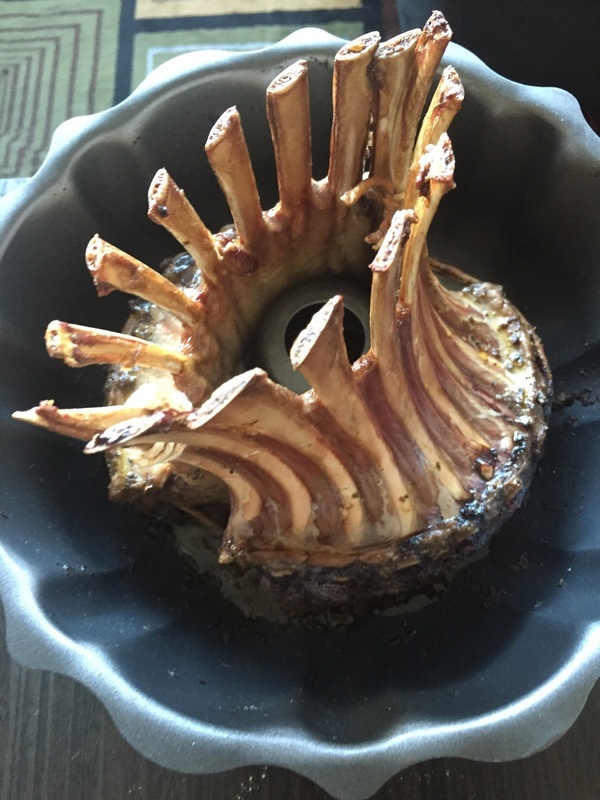 This Crown Roast is so easy & so fancy looking. Ready...set...eat! 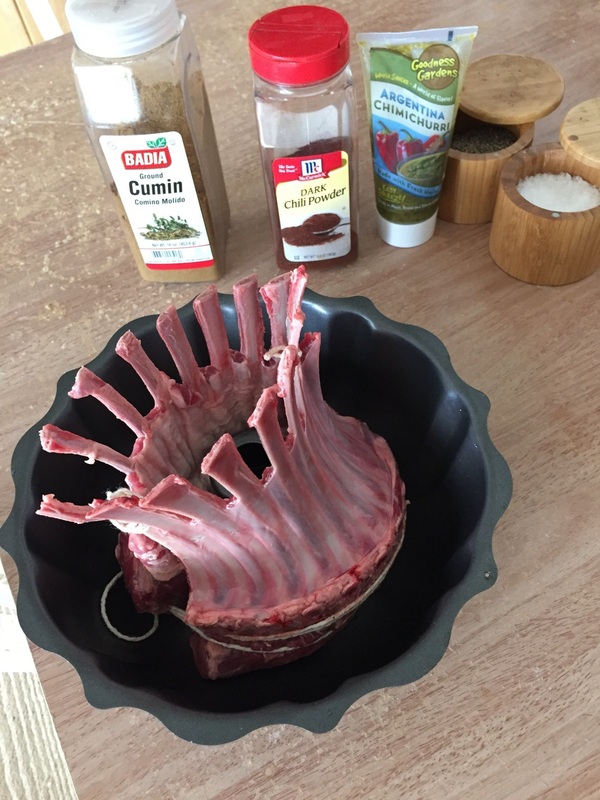 Bend each rack into a semicircle with the meat side facing in & fat side out. Use twine to tie them together like the picture above. Rub on the olive oil, garlic, chimichuri mixture, salt, pepper, chili powder & cumin. If you have one, put the crown in a bundt pan so that it holds its shape. You can let this marinate for 30 minutes if you have time. If not, it's fine to cook right away. When ready, cook for 30 to 35 minutes on 375 degrees F depending on how rare you like your lamb. Let it rest 15 minutes then cut the strong & the lamb chops & enjoy!